We can supply Nuovo Pignone TP 600 WARP, LOAD CELL which are highly acclaimed for its durability, simple configuration and easy installation features..
Our rings follow din iso 96-1 bis 3078 quality standards. Our rings are suitable upto 21000rpm. 1)prepared from fine grain ball bearing steel en31/sae 52100/100cr 6.
we are Leading Manufacturer of Textile Weaving Loom Accessories Dropwiresfrom ahmedabad , gujarat. We are leading manufacturer and supplier of rieteer flat drive blue belt replacement spares out of huge range of replacement spares for our clients. 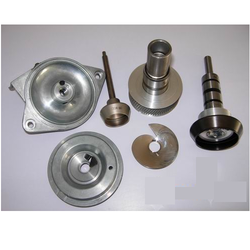 Our range of replacement spares consists of various machines used in textile industry. 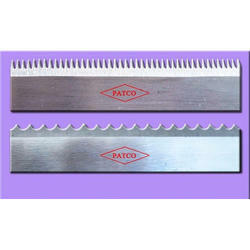 These products are designed and the accuracy engineered by our professionals as per the international quality standards. With firm commitment to quality, we are involved in offering our customers diffrent range of Pin Spacer. Pin Spacer we offer is developed by the professionals of our firm using qualitative plastic in compliance with the international standards. We manufacture textile leather accessories for Ruti, Northrop Looms. Leather spares like Picking Band, Buffer bad, Box back leathers, Box Front leather, Slay leather, D-Buffers, Lug Straps, and Check Straps Etc. Any accessories can be made to sample and drawings. We have the rich experience of last two decades, now we are offering a wide range of Textile Machinery Spares to our esteemed customers. This Tensioner is made with reliable quality steel in order to give right products to our clients. We have dedicated and experienced panel of experts whose main motto is to provide quality products at reasonable prices.